How to start? 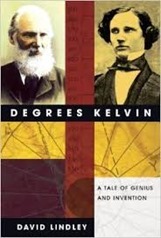 I’ve read another book… Degrees Kelvin: A tale of genius, invention and tragedy by David Lindley. This is a biography of William Thomson, later Lord Kelvin, who lived 1824-1907. Thomson lived at a time when the core of classical physics came into being, adding thermodynamics and electromagnetism to Newtonian mechanics. He played a significant role in creating these areas of study. As well as this he acted as a scientific advisor in the creation of the transatlantic telegraph, electric power transmission, marine compasses and a system of units for electromagnetism. He earned a substantial income from patents relating to telegraphy and maritime applications, and bought a blingy yacht (the Lalla Rookh) with the money. He died a few years after the discovery of radioactivity, x-rays, special relativity and the first inklings of quantum mechanics – topics that were to form “modern physics”. The book starts with William Thomas heading off to Cambridge to study maths. Prior to going he has already published in a mathematical journal on Philip Kelland’s misinterpretation of Fourier’s work on heat. His father, James Thomson is a constant presence through his time in Cambridge in the form of a stream of letters, these days he’d probably be described as a “helicopter parent”. 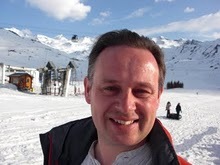 James Thomson is constantly concerned with his son falling in with the wrong sort at university, and with the money he is spending. James Thomson was a professor of mathematics at Glasgow University, William had attended his classes at the university along with his brother. Hence his rapid entry into academic publishing. Fourier’s work Analytical Theory of Heat is representative of a style of physics which was active in France at the beginning of the 19th century. He built a mathematical model of the flow of heat in materials, with techniques for calculating the temperature throughout that body – one of which were the Fourier series – still widely used by scientists and engineers today. For this purpose the fundamental question of what heat was could be ignored. Measurements could be made of heat flow and temperature, and the model explained these outward signs. Fourier’s presentation was somewhat confused, which led Philip Kelland – in his book Theory of Heat to claim he was wrong. Thomson junior’s contribution was to clarify Fourier’s presentation and point out, fairly diplomatically, that Kelland was wrong. Slightly later the flow of letters from Thomson senior switches to encourage his son into the position held by the ailing William Meikleham, Professor of Natural Philosophy at Glasgow University – this project is eventually successful when Meikleham dies and Thomson takes the post in 1846. He retired from his position at Glasgow University in 1899. William Thomson appears to have been innovative in teaching, introducing the laboratory class into the undergraduate degree, and later writing a textbook of classical physics, Treatise on Natural Philosophy, with his friend P.G. Tait. Following his undergraduate studies at Cambridge, William goes to Paris, meeting many of the scientific community there at the time and working in the laboratory of Henri Regnault on thermodynamics. In both thermodynamics and electromagnetism Thomson plays a role in the middle age of the topic, not there at the start but not responsible for the final form of the subject. In both thermodynamics and electromagnetism Thomson’s role was in the “formalisation” of the physical models made by others. So he takes the idea of lines of force from Faraday’s electrical studies and makes them mathematical. The point of this exercise is that now the model can be used to make quantitative predictions in complex situations of, for example, the transmission of signals down submarine telegraph wires. Commercial telegraphy came in to being around 1837, the first transatlantic cable was strung in 1857 – although it only worked briefly, and poorly for a few weeks. The first successful cable was laid in 1866. It’s interesting to compare this to the similarly rapid expansion of the railways in Britain. Thomson played a part from the earliest of the transatlantic cables. Contributing both theoretically and practically – he invented and patented the mirror galvanometer which makes reading weak signals easier. It’s a cliché to say “X was no stranger to controversy” Thomson had his share – constantly needling geologists over the age of the earth and getting into spats regarding priority of James Joule on the work on inter-convertibility of energy. It sounds like he bears some responsibility for the air of superiority that physicists can sometime display over the other sciences. Although it should be said that he more played second fiddle to the more pugnacious P.G. Tait. Later in life Thomson struggled to accept Maxwell’s formulation of electromagnetic theory, finding it too abstract – he was only interested in a theory with a tangible physical model beneath it. Maxwell’s theory had this at the start, an ever more complex system of gear wheels, but ultimately he cut loose from it. As an aside, the Maxwell’s equations we know today are very much an invention of Oliver Heaviside who introduced the vector calculus notation which greatly simplifies their appearance, he too cut his teeth on telegraphy. At one point Lindley laments the fact Lord Kelvin has not had the reputation he deserves since his death. Reputation is a slippery thing, recognition amongst the general public is a fickle and no real guide to anything. Most practicing scientists pay little heed to the history of their subject, fragments are used as decoration for otherwise dull lectures. It’s difficult to think of modern equivalents of William Thomson in science, his theoretical role is similar to that of Freeman Dyson or Richard Feynman. It’s not widely recognised but Albert Einstein, like Thomson, was active in making patent applications but does not seem to have benefitted financial from his patents. Thomson also plays the role of Victorian projector, such as Isambard Kingdom Brunel. Projects in the 21st century are no longer so obviously the work of one scientist/engineer/project manager/promoter these roles having generally been split into specialisms. I was intrigued to discover that Lindley apparently uses S.P. Thompson’s 1910 biography of Kelvin as his primary source, not mentioning at all the two volume Energy and Empire by Crosbie Smith and M. Norton Wise published in 1989. Degrees Kelvin provides a useful entry into physics and technology in the 19th century, I am now curious about the rise of electricity and marine compasses!